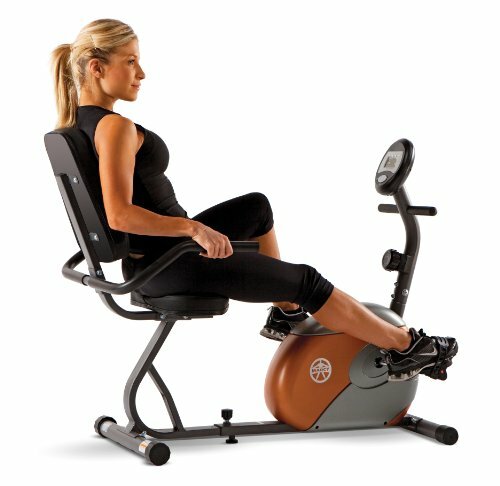 Marcy recumbent exercise bike has a compact design and smooth magnetic resistance. The user friendly computer tracks, speed, time, distance and calories burned. The bike also feature eight preset manual resistance levels and a step through design.